So, you are looking for a great perfume to buy and you find a brand you’ve seen on TV being sold at a giveaway price in your local grocery store and you think ‘That’s a good deal, I have to buy this here!’, should you? Tempting and convenient as it may seem, you may be cheating yourself from getting the best deals, the best service, the best perfume and ultimately, the best experience with the product. Where you buy your perfume matters because it determines how you buy, how much you pay, and what remedies are available to you if something goes wrong. In our last blog post, we wrote about why anyone who cares about fashion must also care about perfume. Here, we give you six important reasons why it’s best to buy your perfume from an exclusive perfume store. If you are trying out a new perfume, you will usually want to smell different perfumes to choose the best one for you. A whiff alone will may not be enough for you to make a good decision. You may need some minutes to allow the top notes to wear off and for the middle notes to emerge, and establish the chemistry between your skin and the fragrance. Doing this in an environment filled with other smells ranging from bath soaps, shower gels and hot air to food and beverages may distort the scent of the perfume. An exclusive store, then, eliminates these distortions and provides you with the best environment to smell the different perfumes before you buy. An exclusive store is also the best place to test and smell bukhoor, as it may not be possible to burn incense from inside a general dealership. 2. 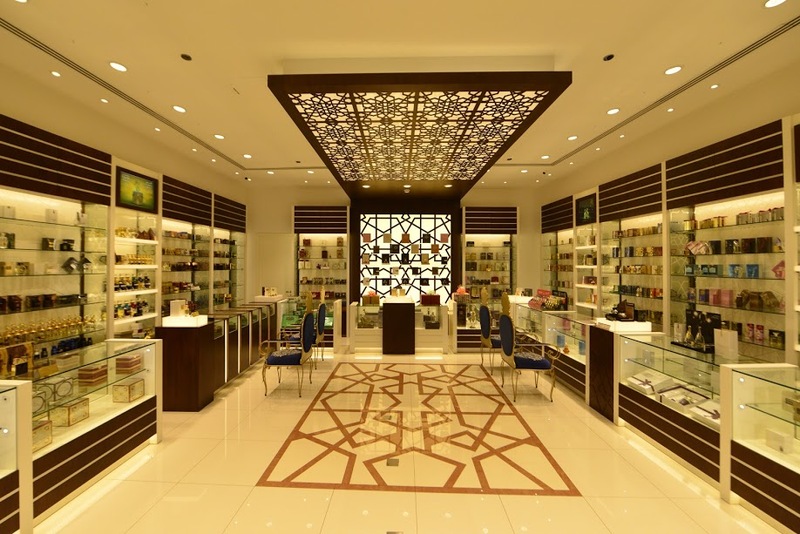 Exclusive stores have perfume experts with specialist knowledge about different perfume brands. Buying perfume from an exclusive store gives you access to the best, specialist information about the different perfumes from that manufacturer, thus ensuring that you are able to buy the best perfume for you. Exclusive stores employ sales people who have better knowledge about the manufacturer’s product than a general merchandise dealer or re-seller. An exclusive store will give you information about the different perfumes, related perfumes, the fragrance notes and how to get the best results and performance from the perfumes. Most perfume re-sellers will be happy to serve you as long as things are alright, but only the manufacturer’s exclusive store will give you the best service when your bottle unexpectedly starts leaking, your atomizer fails and when you find that the perfume does not smell as it should. Because general dealers stock a wide range of merchandise and perfumes from different manufacturers, they may not be as willing to assist you as much as an exclusive store would do, and may not be able to provide service as quickly and efficiently as an exclusive store would. Price is an important factor to consider in the buying decision mix, and where else can you get the best deal on a perfume than from the one who made it? Of course retailers and other suppliers along the chain may have special offers and clearance sales, very often it is done to manage their own inventories and clear slow moving lines. Exclusive stores, on the other hand, will give you the best prices on the full range of products, and more often than other dealers do. Let’s face it, when it comes to purchasing perfumes, it pays to get the product from a trusted source. Unscrupulous traders may dilute perfumes or reuse the packaging of one perfume for another perfume thereby deceiving customers. By buying at an exclusive store, you are guaranteed of the source and that you are not getting a fake product or cheap imitation. Online shopping is fast becoming a new norm in the shopping behavior of many people today. For a product such as perfume, online purchasing would not allow you to smell the product prior to buying it. So how do you then smell the perfume? You and identify the products beforehand, at the manufacturer’s exclusive showroom, and then make repeat purchases online. Those are our reasons. Did you find this article helpful? Comment in the box below and share with your friends using the share buttons below. Do you have online service where I can order and you send to australia where I live? Feel free to browse through and place your order. I am at Madinah and would like to buy from a local store here. Can you please help me find a store? Dear Rizwan. We do not have a store in Madinah at the moment. We, however, have a store in Makkah inside Hilton Tower near Gate 3. Visit our Store Locator for the locations. Alternatively, you can also buy fragrances of your choice from our Online Store and we will ship your order to Madinah. For any further enquiries, please contact us and we will assist you in any way we can.